This podcast is the first of a series on identity and self reflection. If you have any thoughts on changing identity, how your career affects your quilting style, your self confidence level, your personality (meyer’s briggs or other) type, or other self exploratory processes, please comment below or send an e-mail or sign up for big tent and give your answers there. Remember this famous character from TGIF television and all the guys to follow? What about this high school prep, skater, jock, nerd? Someone to look up to? Someone to name your kids after? 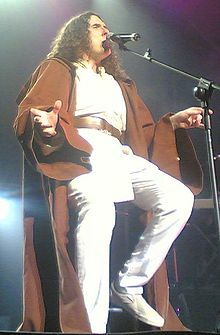 What about a music mogul? How about some other real life scientists that are changing the stereotype? If there are things in common with these people, could you call their commonalities a stereotype? Is there something that holds them together, and over time, have they changed the face of the nerdy world? Perhaps quilting needs a popularization to become a popular culture rather than just a stereotype? But the question would be, should we be popularizing the ideal image of a quilter, or the ‘antistereotype’? Get out there and spread the word about quilting. What message are you sending? If you list the traits that are characteristic about a group of people you create a stereotype. Stereotype is a mental idea that organizes data about a group. Stereotypes can be formed implicitly or automatically. If you detach the human side of stereotyping and think more of categorizing items and objects, we see stereotypes in quilting. Think of blog categories and tags. When we are documenting blog posts or pictures, we group them. This is to help us to remember them later. Delicious is set up so that tags are organized, and many people may put the same tags, and organize websites in the same way. Does average equal stereotype? 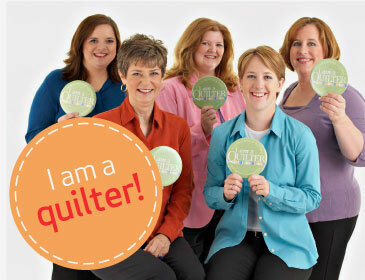 Do you have a picture of a quilter in your head because of the quilting in america data? Do we characterize quilters because of the raw numbers? Do quilters fit the stereotype, or does the stereotype fit the quilter? Did you have a stereotypical image of a quilter before knowing the average quilter? American Patchwork and Allpeoplequilt.com have a video about “I am a quilter” so you can see all the differences in quilters. Thanks to all my commenters and correspondents! Check out the Quiltcast Supergroup on Big Tent and join in on the discussion! Thinking about stereotypes with both scientists and quilters is interesting, especially since I am both. I think that the geeky/nerdy/dorky stereotype about scientists is fading away – if you tell someone you’re a scientists they are usually impressed and ask what kind of work you do. While i’m sure there is still a stereotype i don’t think it’s as bad as some people may make it out to be. However it’s harder for me to judge this since the majority of the people I interact with are (as you would expect) scientists! When it comes to quilting it’s another matter. I know few people that quilt and it definitely has an “old granny” stereotype to it. I have even taken to commonly calling the modern quilt guild “quilt club” because the word club seems to prompt less “oh so you sit around talking to grannys all day” than the word guild. However, through discussing my quilting with other people I am discovering a few people that I would never have thought would be into quilting that are. And also, I make an effort to show people photos of what i’ve made so that they can see that it’s not just the ‘old-fashioned’ stuff that they imagine. I think as quilters (or anything for that matter) if we don’t want to be shoved into a stereotype that we don’t like, it’s our responsibility to teach people that they’re not true.